The guys behind Frozen and Wreck-It Ralph are also the guys behind Big Hero 6. The movie is set in the city of San Fransokyo which is a fictional mash-up of 2 cities, San Francisco and Tokyo, incorporating various iconic landmarks and architecture from both cities. Baymax is a plus-sized inflatable robot created by Hiro’s brother, Tadashi. Baymax, Hero and four other Tadashi’s friends, form the Big Hero 6. Because it is targeted at kids, most of the funny elements in the movie are all in the actions (like how Baymax moves) done by the characters rather than in the conversation. The movie brings your emotions through laughter, sadness and happiness. Because it is a children’s movie, the ending is kinda predictable in which it ends with everybody is happy. Do stay till the end of the credits because there is an after-credits scene which I totally forgotten! Overall, Big Hero 6 is a pretty good movie targeted at family with kids. I am not really sure if it is appealing to just adults, however if you need some light-hearted cartoons for the holiday season, you should catch it as well. With all the heart and humor audiences expect from Walt Disney Animation Studios, “Big Hero 6” is an action packed comedy-adventure about robotics prodigy Hiro Hamada (voice of Ryan Potter), who learns to harness his genius—thanks to his brilliant brother Tadashi (voice of Daniel Henney) and their like-minded friends: adrenaline junkie Go Go Tomago (voice of Jamie Chung), neatnik Wasabi (voice of Damon Wayans Jr.), chemistry whiz Honey Lemon (voice of Genesis Rodriguez) and fanboy Fred (voice of T.J. Miller). 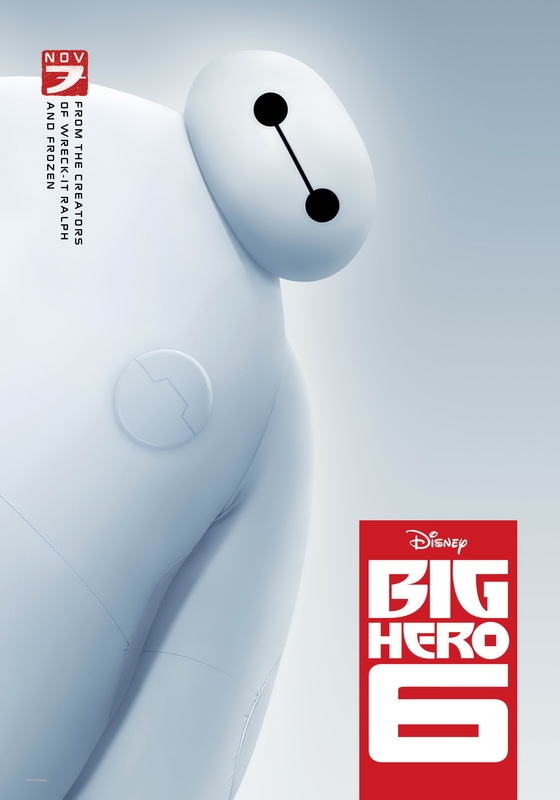 When a devastating turn of events catapults them into the midst of a dangerous plot unfolding in the streets of San Fransokyo, Hiro turns to his closest companion—a robot named Baymax (voice of Scott Adsit) and transforms the group into a band of high-tech heroes determined to solve the mystery. Inspired by the Marvel comics of the same name, and featuring adrenaline-pumping action, heartfelt emotion and plenty of humor, “Big Hero 6” is directed by Don Hall (“Winnie the Pooh”) and Chris Williams (“Bolt”), and produced by Roy Conli (“Tangled”). This page is generated on 21st April 2019, 18:12:00 (UTC) in 0.418s with 19 queries using 2.0 MiB of memory.